Apply the horizontal valley-fold of the step #30. 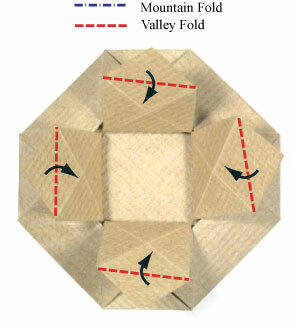 Apply four valley-folds of the step #31. 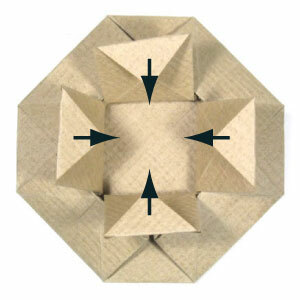 Prepare to pull four flaps towards the center so that they are perpendicular to the bottom.